A wise man once said that sleep is the golden chain that binds our health and our bodies together. We all know how a lack of good night sleep can harm our mood, our health, and our productivity. Yet, each of us sleeps differently. While a lot of us are the average side sleepers, there are also many of us that prefer sleeping on our back, or on our stomach. "Among Memory Foam Pillow, Best Ultra Thin Pillow will fit a variety of colorful and decorative pillow covers, and if you want to add comfort to your stomach sleeping, you have to try this memory foam pillow." 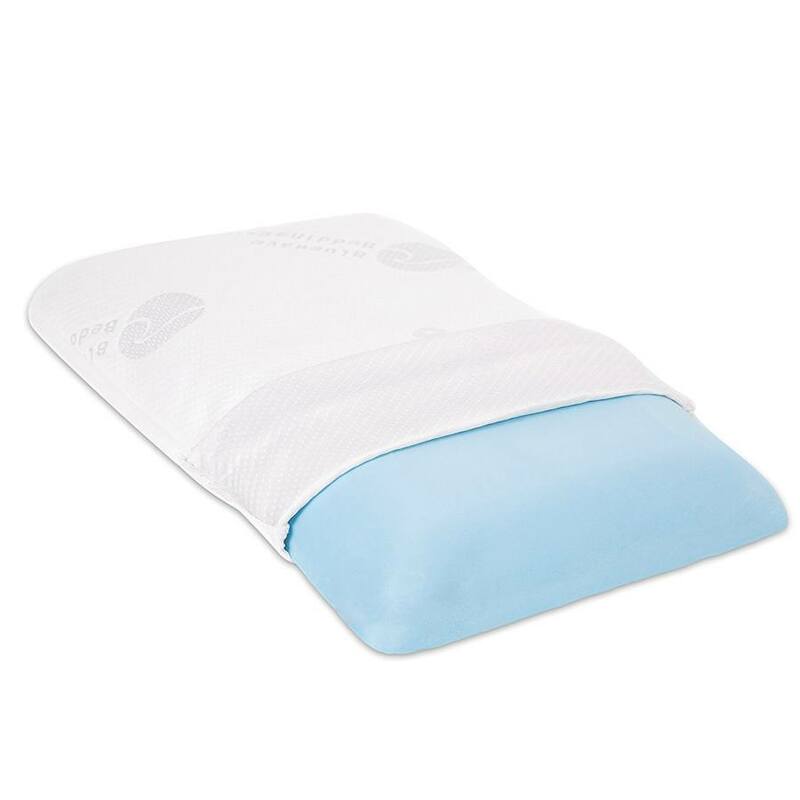 "Among Memory Foam Pillow﻿, Best Ultra Slim will help you sleep better without pain, as it will prevent stress and injuries on your back, shoulder, and neck area. You will wake up refreshed, and ready for another day after a good night sleep." The main focus of this guide will be you, the stomach sleepers! We understood that most sleeping products are directed toward the average side sleepers and that phenomenon often forced us to use the same product. We understood that your sleeping posture will need different treatment, and we understood how you hate the back, neck, and shoulder pain because you are using the wrong pillow. And here it is, with this guide, we will try our best to recommend the best products that will cater to that specific need, and we do hope we will help you find a better night sleep. Before I am a marketing lady, I worked for a major mattress manufacturer for 6 years, and as an avid lover of sleep (who isn’t?). I was so enchanted with the idea that there are so many things we can do, and so many products and technologies that might improve the quality of our sleep. With that passion, and as a stomach sleeper myself, I do hope I can enlighten you with better knowledge, choices, and reviews that might help you make a better purchase decision. Before we begin with our product discussion, let us understand better about the common problems stomach sleepers often face. With modern lives seemingly getting busier and busier with each passing days, a good night sleep is often a luxury thing nowadays. But what if your sleep will actually make the next day even worse? While sleeping on your stomach have some benefits, namely, reducing symptoms of sleep apnea (a sleeping disorder when you have pauses in your breath pattern during sleep), and reducing snoring, stomach sleeping can also cause several common problems. Here are some of the notable ones, and why you should have the correct products to assist you with the problems. Sleeping on your stomach increases the strain on your back and spine, mainly because your head is pulled away from your body, especially with inappropriate pillows. For example, if your pillow is too thick and firm, while your mattress is a memory foam that will ‘sink’ your body, you can imagine your head will be stressed away further from your body. Thus, you not only need to consider a good pillow for your stomach sleeping, but also ones that will match the type of your mattress. With your spine already stressed out, your neck position often overcomplicates the problem. Since we obviously can’t breathe through our pillow, we will need to turn your head to the side during a stomach sleeping posture. This condition misaligned the neck and the spine, and over time, the neck pain due to twisted position can be more prominent. On a worst case scenario, your neck problem can develop into a herniated disk, when one of your spinal discs shifted and ruptures. This is why having a proper pillow to support your neck during stomach sleeping will be necessary. Look for pillows that can support the stability of your neck and head throughout the night, and those that can reduce the stress of a twisted neck position. Although stomach sleeping does have its disadvantages, doesn’t necessarily mean you’ll need to change your sleeping habit. Besides, changing sleeping posture can be really hard, if not impossible for some people, as they simply can’t sleep without their preferred position. Before we delve further into our product guides, let us understand better about the types of pillows, and the differences between each types. Although there are many types of pillows available in the market, for the purpose of this guide, we’ll only be discussing the relevant ones. Widely popular nowadays because of its exceptional comfort, yet many people didn’t really understand the science behind the infamous memory foam products, and what actually makes them so comfortable. Memory foam is produced with polyurethane with added chemicals to increase its viscosity. Thus, the material can react to body heat and pressure, seemingly ‘molding’ your contours, and in pillow’s case, your head and neck shape.Newer technologies are developed to reduce the chemical use on memory foam pillows, and newer products are now more environmentally friendly. Great memory foam pillows can instantly mold to your head and neck in seconds, adding comfort while also increasing the stability of your neck and spine area, reducing stress and risks of associated pains. Arguably the most comfortable pillow you can have. Molds to your head and neck shape, reducing tension and stress. Although newer technologies are utilizing safer material and reducing the needs of chemicals, it is still there. Generally have problems with heat retention, trapping your body heat. Down pillows are famous for its exceptional softness and are made from the delicate fluffy feathers from a waterfowl bird’s belly. Down pillow gave a cushiony feeling, which is often sought by many stomach sleepers. Great air circulation, eliminating heat problem. A little hard to maintain, will require fluffing and shaking. Arguably the oldest form of pillow available, feather pillows are also loved because of its softness. Feathers are often sanitized with chemicals. Feather quills might poke around during sleep. Currently, the most popular and widely used pillow all around the world, especially because it’s very affordable. Polyester is a synthetic material resembling resin, resembling cotton in its many characteristics. Very durable with reasonable softness, air circulation, and comfort. Although not as bad as memory foam pillows, can retain reasonable amount of heat. More vulnerable to bed bugs. Commonly infused with gel, which can emit odor. 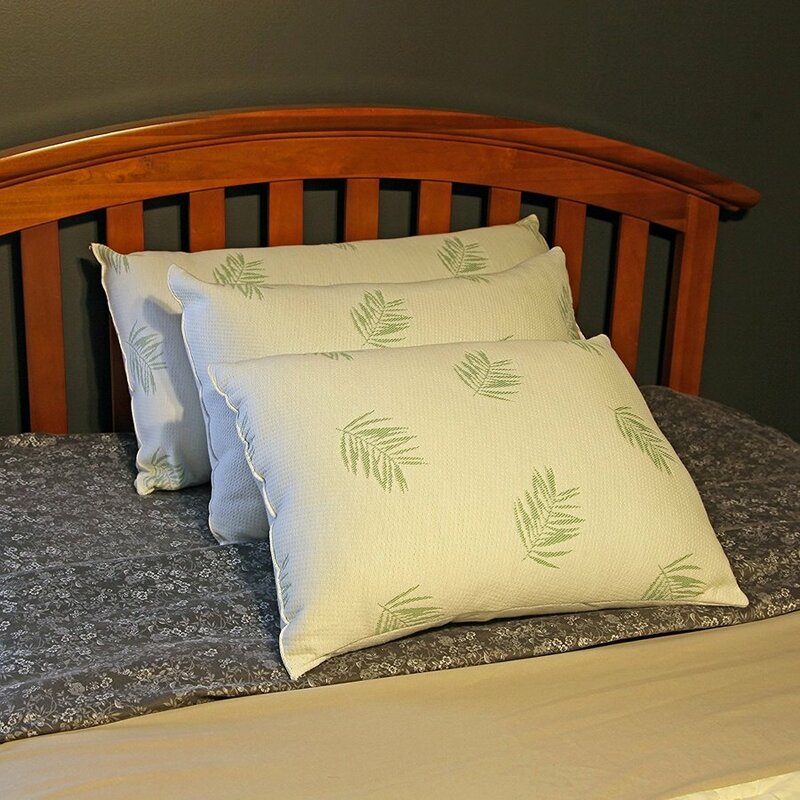 A relatively new of pillow material, bamboo is now widely popular because of its soft texture, and ability to eliminate odor as well as maintaining a lower temperature during a good night sleep. Could be 100% natural, or fused with synthetic materials, bamboo fabrics are also biodegradable and friendly to the environment. Generally hypoallergenic, protecting you from allergens and dust mites. Best material to absorb unwanted odors. Very soft and silky texture, give a luxurious feel. Can shrink and wrinkles often. Sometimes infused with synthetic materials and chemicals. Cotton pillows have been around for decades and are still popular because it’s generally affordable, and is one of the best choices for those who prefer a firmer pillow. 100 % natural, and known for its absorbent quality, helping eliminate unwanted odor. Doesn’t contour well to the head and neck, especially for stomach sleepers. Susceptible to dust mites because it retains moisture. Bluewave Bedding has been a dedicated memory foam pillow manufacturer specializing on back and stomach sleeper customers. 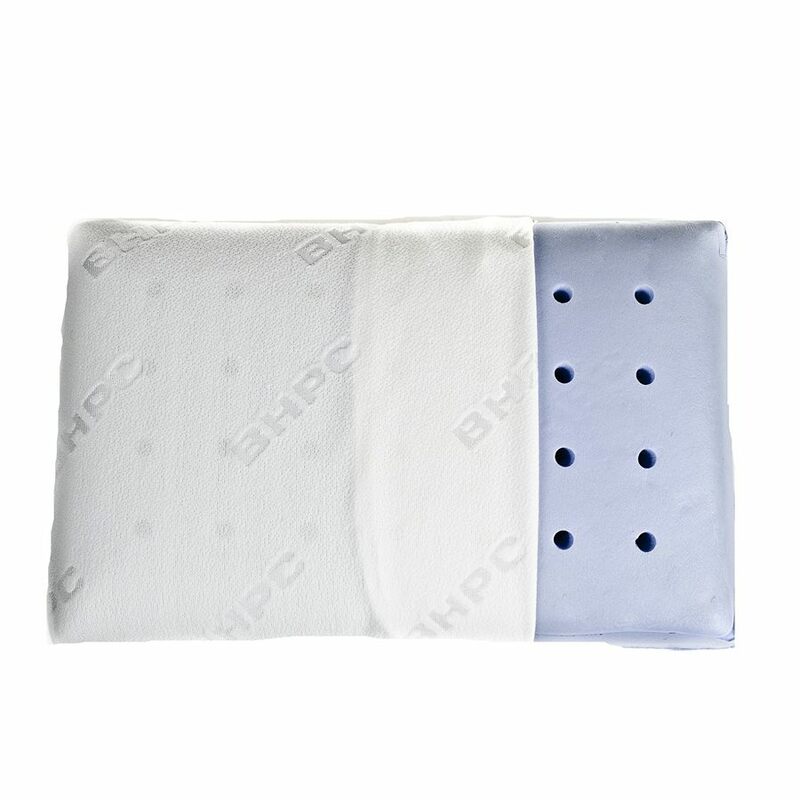 Back, and especially stomach sleepers, as mentioned, will need a thin and flat pillow to avoid neck, shoulder, and back injuries, and Bluewave Bedding products are designed for the exact purpose. The pillow will fit a variety of colorful and decorative pillow covers, and if you want to add comfort to your stomach sleeping, you have to try this memory foam pillow. Ultra thin with 2.5-inch profile. Flat surface on one side, and rounded on the other side, will align a stomach sleeper’s spine to prevent neck and shoulder pain. CertiPUR-US certified to assure you that no harmful substances like lead and mercury are included in the product. Gel-Infusion technology to allow better heat dissipation, maintaining a lower temperature throughout the night. Premium bamboo cover included, bamboo can eliminate odor, maintain lower temperature, and absorb unwanted moisture. Only great for stomach sleepers, and to some extent back sleepers, not for average use. Thin pillows are not for everyone, especially those who prefer firmer ones. A little bit on the light side, might move around throughout use. DC Labs’ version of memory foam pillow for stomach sleepers also came with a 2.5-inch thickness, which is an ideal size to support stomach sleeping, as your head and neck won’t be too stressed out from the height. With a standard size, the product can fit various decorative pillow covers, adding more value to the already luxurious feel of the pillow itself. Trying to change the way you sleep? This is the one to get. Definitely one of the best products available for stomach and back sleepers, here are some of the features and qualities of the DC LABS Ultra Slim Sleeper Memory Foam Pillow. 2.5-inches thin, ideal thickness for stomach sleeper. Half pillow design, flat on one side and rounded on the other to provide more stability. Hypoallergenic, anti-microbial, anti-bacterial, and bed bug resistant. Cotton cover included in package. Genuine memory foam pillow to provide a ‘sinking’ feel. , as one of the renowned sleeping product manufacturers, has brought to you their unique memory foam pillow product that might just be the one you are waiting for. is designed for stomach sleepers and the average side sleepers so will be one of the best choices for those who switches back and forth between stomach and side sleeping throughout the night. Here are some unique features we can find in the Beverly Hills Polo Club Classic Memory Foam. The The Deluxe Home bamboo pillow is manufactured with a combination of polyester and bamboo rayon. Bamboo fiber has been known to eliminate odor, maintain a lower temperature, as well as being hypoallergenic besides its distinctive softness. One thing to consider is that this product is not a memory foam pillow, and shouldn’t be confused as one. Being a polyester pillow, this product came with better air circulation compared to memory foam counterparts, lowering the temperature of the pillow and around your head for a better sleep. Here are some of the unique features of the product. Bamboo fiber for a more environmentally friendly pillow and better heat dissipation, as well as being exceptionally soft texture. Can be used for stomach, side, and back sleeping. Very easy to clean, and can be machine washed. Being a well-rounded pillow is not specially designed for stomach sleeper. Not a memory foam pillow. The bamboo rayon is not 100% natural, but a hybrid between natural and chemically synthesized. 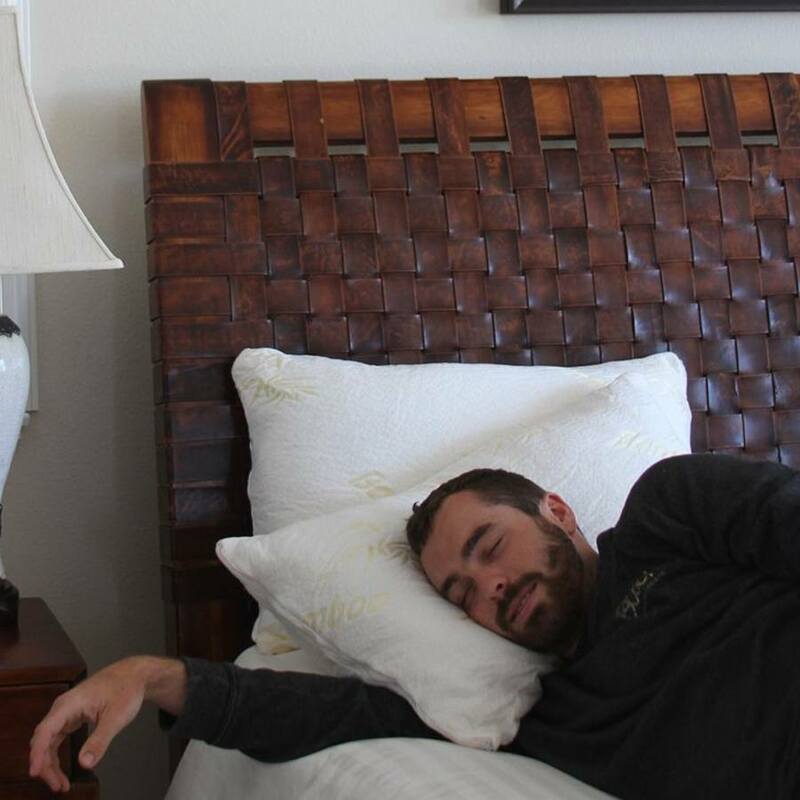 As the name suggests,the Extra Soft Down Filled Pillow from eLuxurySupply is filled with down’, the delicate fluff from the bellies of waterfowl, . 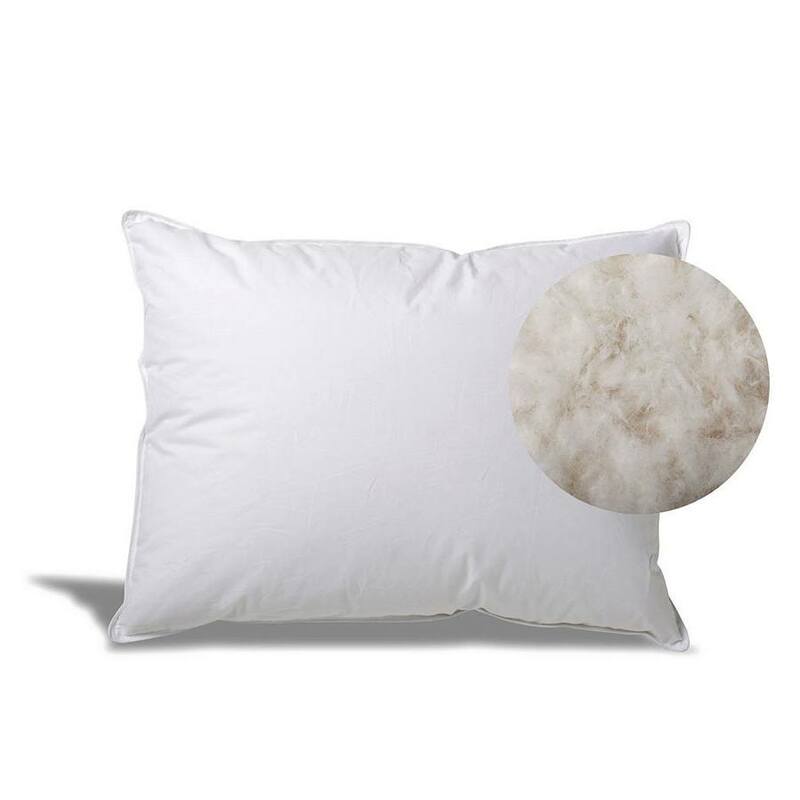 To be exact, it contained 80% down and 20% feather blends.Being of polyester material, the pillow will also be hypoallergenic in nature and will be a great choice for those with allergy problems. The main quality of this product is its softness, allowing your head (as a stomach sleeper) to be perfectly angled with your spine during sleep, preventing back, neck, and shoulder pain common for stomach sleepers. Being a down pillow, heat dissipation, and air circulation are great. Very easy to clean and is machine washable. 100% 30-days money back guarantee. 6-inch thick for those who prefer thick yet soft pillows. Specially designed for stomach sleeper. Being a down pillow, exceptional softness. Not a memory foam product. Thick pillows are not for everyone, especially most stomach sleepers. Being a down pillow, requires shaking and fluffing to maintain. A little bit on the expensive side, as expected with down pillows. The product from Blitzby is a unique hybrid of bamboo fabrics with memory foam, Bamboo fabric, with its exceptional soft texture and air circulation, will compensate memory foam’s issue of heat retention, making it a perfect match to each other. One thing to keep in mind is that this product is not specially designed for a stomach sleeper, but rather for an all around use. Being 7-inch thick, this pillow is also thicker than other products, which will be perfect for those who would like a thick and firm memory foam pillow. The pillow also came with hypoallergenic and dust mite-resistant pillow cover, further enhancing its soft and comfortable touch. Here are some of the unique qualities and features you can find in the product. Unique hybrid of bamboo fabric with shredded memory foam. Superior air circulation and heat dissipation. 7-inch thick for added firmness. Designed for a well-rounded usage, and not specially designed for stomach sleepers. Firm and thick pillows are not for everyone. A bit on the small side with only 13″ x 9″ size. The Classic Memory Foam Pillow from Iso-Pedic is designed for an all-around use and will cater to stomach, side, and back sleepers alike. Came with a top-of-the-line microfiber removable cover, the pillow is also hypoallergenic, protecting you and your family from unwanted allergies and dust mites. If you are someone who often switches between sleeping postures, this might be the right product for your good night sleep. Very responsive memory foam, instantly molds to your shape. Great ventilation and air circulation technology, lowering the temperature throughout use. Very affordable compared to its competition. Because of its lightness, might move around and lose its stability. Not specially designed for stomach sleepers. Although there are many different qualities and features you can find in many different pillows, there are some notable features you should look for. Some will prefer the ‘sinking’ feel of memory foam pillows, while some others will prefer the bouncy feel of polyester ones. If possible, try both types in your local store before buying. Don’t worry, most products offer 30-days money back guarantee, so you can always return them with no question asked. Generally, a thinner pillow will be preferable for stomach sleeping, as your head will be less angled from your body. Especially for those with allergy issues, some pillows will come with hypoallergenic, anti-bacterial, and anti-microbial material, as well as being dust-mite and bed bug resistant. 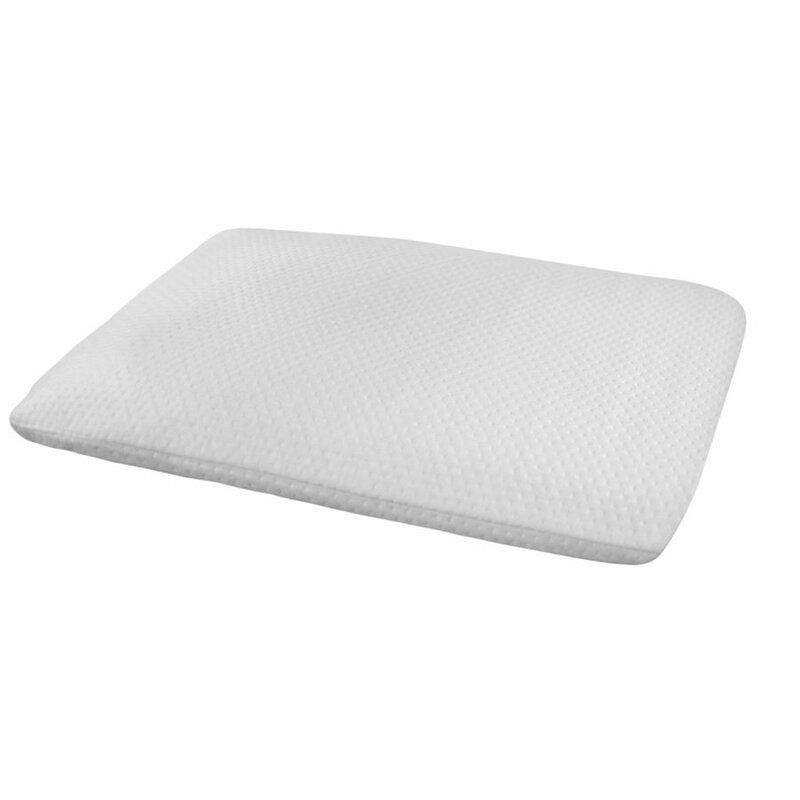 The Bluewave Bedding Ultra Thin Memory Foam Pillow have many features that cater to stomach sleeper, preventing neck, back, and shoulder pain while assuring comfortable sleep throughout the night. Super thin with only 2.5-inch thickness, great air circulation feature, and very decently priced. In our opinion, this is the best choice for any stomach sleeper out there. 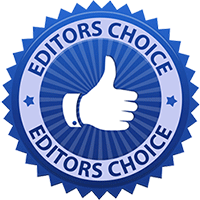 Great price, great quality, and most user reviews during our research indicated overall satisfaction with all aspects. Jeane Mara Spent 2002-2008 working for a major mattress manufacturer, and was enchanted with the idea of providing better sleep ever since.Was quite successful at donating tinker toys for no pay. Since 2009, Jeane spearheaded a marketing team of a startup, but is still obsessed with pillows, mattresses, and whatever else necessary for a good night sleep.